It was indeed a great afternoon. Looks like you had a very sweet moment. Thanks for visiting! 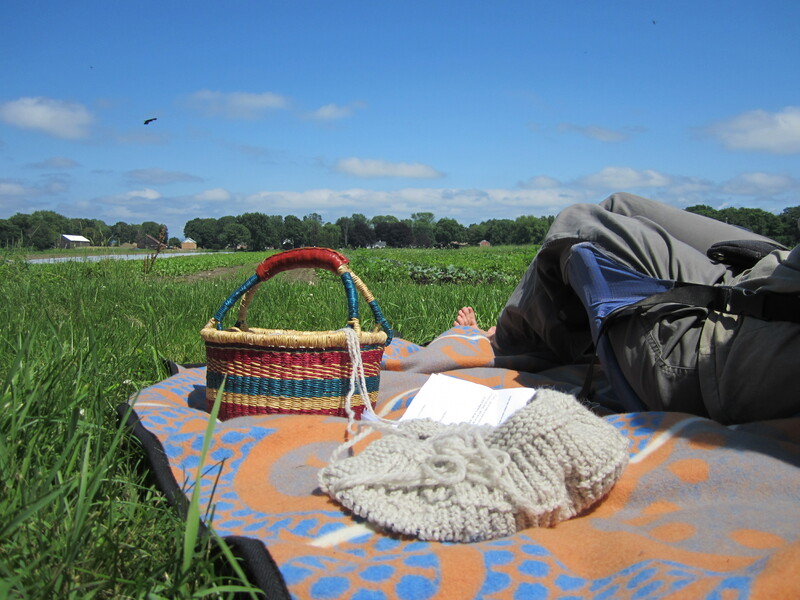 oh, this just looks so good: knitting, grass and blue skies. what else would you want?? Just lovely! An that’s the first? Please continue! Thanks, Fiona! Cambodia really is a special place and, though I couldn’t be there this week, I’m glad that Christopher was able to experience it. I’m eager for him to return this weekend and write a post or two about it. Thanks for following – I look forward to reading through your blog, too! Thanks! Great Seattle blog – one of our favorite cities. Yay! Welcome. This friday ritual is habit forming.